If you've ever sat down to a WordPress blog and started typing out your thoughts on tort reform, legal tech, or the trials of starting your own firm, you've probably wondered: At what point does my attorney blogging become advertising? Sure, you're not posting "10 Reasons to Hire Me Today -- Number 7 Will Shock You!" But you are, perhaps, subtly selling yourself, showing your personality, experience, insight. Does that mean your blog is subject to the same rules as, say, an actual commercial? Not according to the State Bar of California. The bar association recently finalized a new ethics opinion that will allow lawyers to blog, outside their main law firm website, without having to worry about regulations on attorney advertising. If you're a California attorney who blogs, or is looking to start a blog, the new ethics opinion, Formal Opinion No. 2016-196, provides some guidance. According to the opinion, simply blogging in and of itself is not a "communication" covered by California's attorney advertising rules (California Rule of Professional Conduct 1-400 and California Business and Professional Code Sec. 6157 et seq.) -- unless it expresses, even implicitly, your availability for professional employment. 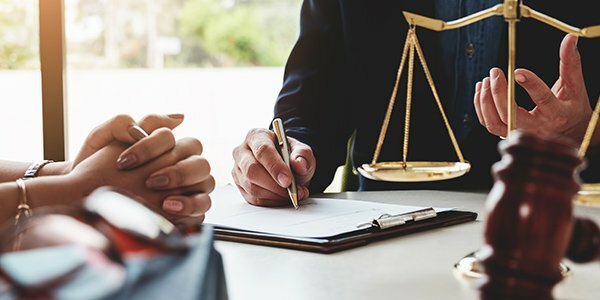 "An attorney may freely write a blog on any of countless legal and non-legal subjects, and may identify himself or herself as an attorney thereon, without concern of being subject to rule 1-400," the opinion states, "unless the blog or blog post specifically invites the reader to retain the attorney's services or otherwise indicates the attorney's availability for professional employment." If you're a divorce lawyer, for example, writing a stand-alone blog (not connected to your firm website) on family law issues, your blog would likely not count as advertising. If you're a corporate lawyer writing your own blog (again, not as part of your professional site) on the implications of proposed legislation, you should likewise be alright. Those blog posts are "informational expressions" of your "knowledge and opinions," not ads. Further, by-line links from your name to your professional page don't transform the blog into advertising, according to the opinion, nor does discussing legal topics connected to your area of practice. That blog on your own attorney website, though? It does count as advertising. If a blog is integrated into your or your law firm's professional website, it is subject to the same rules and statutes "as the website of which it is a part," the opinion states. And even if your blog is stand-alone, if it implicitly solicits business, it's an advertisement. What counts as implicit solicitation? The opinion states a "description of the type and character of legal services offered by the attorney" or "detailed descriptions of case results" as an example. So, a blog post entitled "Johnny Q. Esq. Wins Again! Clients Leave Happy and Rich," would probably count.